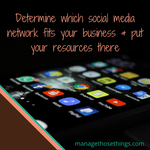 Any business, however large or small, whatever industry you’re in, needs to know how to determine which social media network fits your business. Whether you like it or not, social media networks are here to stay, and your business needs to use them to communicate with your customers, where they are happiest. We have some clients who tell us that, “they don’t like social networks”. That’s fine. We understand that social networking isn’t for everyone. Not all businesses have customers who use social networks. However, people who may refer your business to someone aged 80+, or buy for them, are likely to use some form of social media. Yes, the use may well be purely social. However, our children are very social savvy, and will often tell us about something they’ve seen on a social network that interests them, or they think will interest us. So being aware of social networks and which ones to use for your business are important. We all have choices, and if you’ve done your research and decide to focus on one channel only, that’s great. You understand what your business needs, and the resources you have available to you, and where you’re best focusing those resources. 2. Who makes the buying decision for your product/service? If you’re a business to customer business, is it the end user who makes the purchasing decision, or someone else? (A parent, child, carer?). If you work business to business, who decides? Is it the marketing manager, the training manager, the sole person who works in and runs the business? 3. Are you promoting a lifestyle option or brand? Are you helping businesses improve their service or product? Are you creating unique products? Are you providing a service? How can you “show off” your product and/or service best to your potential customers? Is it visual? Is it through customer testimonials for your work? What are you using social media in your business for? Having the confidence in all these areas, will make your decision about which social media channel/s you’re going to use for your business easier. However, we also recommend regularly reviewing if your social media strategy is working! 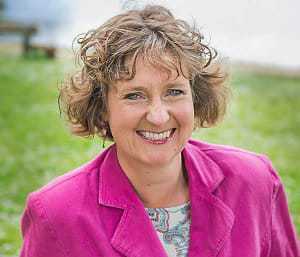 If you’d like some help with how to determine which social media network fits your business, book a call with Tracey-Jane, or join the Business Cheerleading Club & discuss it with other business owners, and Tracey-Jane in the group. What social media channels do you use that work for you & your business? Tracey- you raise a really important point. Which networks to use based on where your clients or customers hang out. I use Twitter Facebook and LinkedIn as that is where my ideal clients are. Great article. Great Shelley. I’m pleased you’re already on the right social media networks for your business. It’s something I find people overlook.